I'm very pleased, as always, to be a part of a fellow writer's blog tour. I'm very glad to have met Richie, who is a tireless promoter of indie authors. Please enjoy an excerpt of his Finndragon books, and do be sure to visit his blog, One Thousand Worlds in One Thousand Words, where he showcases scifi/fantasy novels (link below). Tales of Finndragon is an original and unique fantasy adventure, which will appeal primarily to older children and teens, but also adult readers who like a bit of escapism. It is the story of three ordinary children, Emma, Megan, Scott and their pet dog Bones in their quest to find their father, who has been missing for nearly a year. The story is based on an ancient Welsh legend which has been kept alive by bedtime stories for countless generations. The two sisters and their brother unravel the riddle of an ancient scroll. This helps them find the gateway that leads to a 6th century Welsh kingdom in search of their dad. The scroll states that anyone who stays in the kingdom for more than a year can never leave. The journey through the gateway is a mini-adventure in itself; involving finding their way through a maze of caves, and ends with them entering the magnificent medieval Castell y Mynydd. They struggled on towards the hoped for sanctuary of the huts, ever watchful and always frightened. 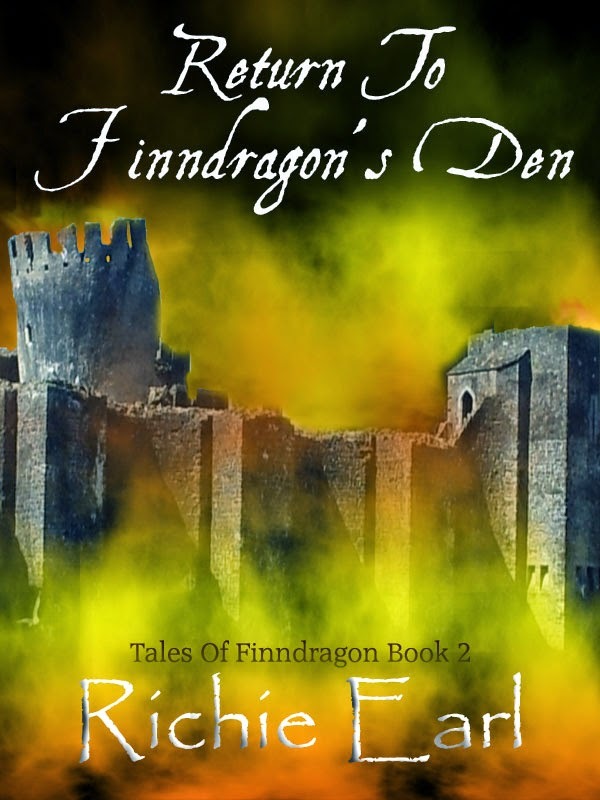 Emma began to realise that whatever Finndragon had unleashed upon King Dafydd and his people, was far greater and infinitely worse than ever before. 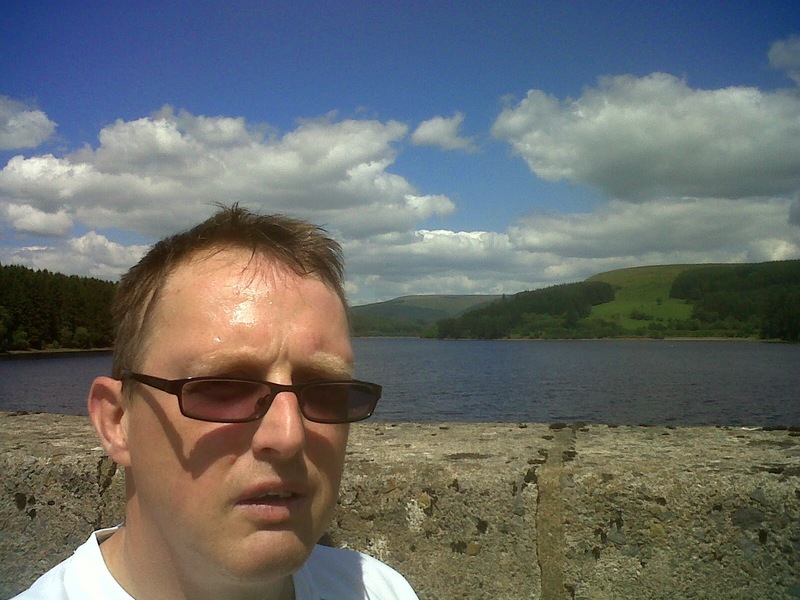 However brave Scott was trying to be, he couldn’t help but let out the odd whimper or cry of pain. Emma called for a halt, partly because of her brother, but equally for Megan and herself to recuperate from their exertions. A five minute rest and they were underway again. Their progress was still slow, painfully slow for all of them, but at last they neared the small cluster of five still erect huts. All the doors were closed and the windows shuttered tight; as if whoever sought shelter inside hoped these flimsy dwellings could do what no other part of the castle had managed to do; withstand the might of whatever evil force had devastated the rest of the castle. Scott sat on the ground and rested his back against a small pile, which had probably once been a similar construction to those Emma now approached. Both he and Megan sat silently; hardly able to breathe as they watched on nervously. Emma walked extremely slowly toward the first hut, cautiously looking left and right as she prayed there would be no demons lurking inside. She got within five yards when she was knocked backwards slightly by an unseen, but rigid object. She was hurt a little, but utterly shocked at what had just happened. She edged forwards with arms outstretched, feeling for any obstructions. Suddenly she felt something, she couldn’t see anything, but she could definitely feel it. “Walk around it, there may be an opening somewhere,” Scott advised optimistically. So Emma moved to the side, feeling her way all the time. The invisible barrier seemed to be curving with the shape of the hut. As she approached the next hut, the barrier changed direction slightly and followed the shape of this hut. And so it continued until Emma found her way back to where she had begun. Still nothing stirred inside the magical barrier, but after a minute or so passed Emma thought she heard something. She looked at each hut in turn, listening intently to the almost inaudible sound. She couldn’t even make out exactly what type of sound it was, “Can you two hear that?” she asked her brother and sister. “But there’s nothing out here, we can’t hide and you can’t even run!” Megan replied with horror etched all over her face. The object was beginning to loom large and as it came closer Emma remembered her phone and she scrambled through her backpack, desperately looking for her secret weapon. They could now see the entity was some kind of flying creature, but the dread in their hearts heightened as they realised the beast was obviously no Clubber. Its wingspan was so long that it was starting to block out the orange horizon and it was approaching faster than any Clubber could fly. Panic started to set in as they realised there was nowhere to hide. The high-flying creature was now so close that they could start to make out its features, silhouetted against the shimmering surroundings. Emma guessed it must be at least twenty feet in length with a muscular, scaly and reptilian body. It had a long jagged tail which tapered to a sharp point and four powerful limbs descended from its huge body. As the beast got closer still, they could see it was blood red in colour. This almost camouflaged it against the glowing background and its underbelly was an even darker shade again. The beast had an enormous head set on an elongated neck, with a long snout protruding from the middle of its head. Large flaring nostrils sat on the end of the snout, below which was a mouth filled with jagged teeth. The whites of its eyes were punctured by green, laser-like pupils which almost burnt into their skin. The creature moved gracefully through the air as its colossal wings beat slowly, efficiently and rhythmically, extending outwards at least the length of its huge body to either side. Kindle Countdown Promotion - up to 67% discount. 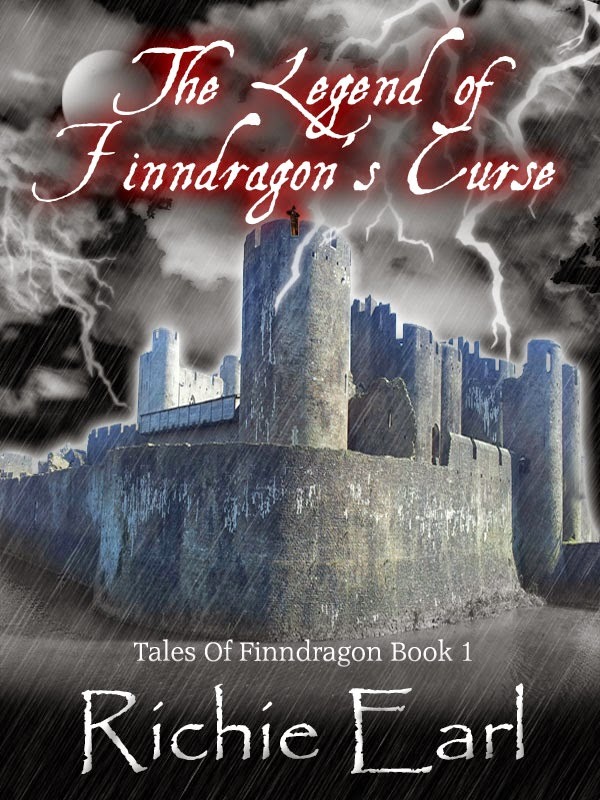 The Legend of Finndragon's Curse is on offer 15th-21st April. Return to Finndragon's Den is on offer 21st-28th April. Richie Earl is the writer of fantastical fantasy adventures. Earl's first series, Tales of Finndragon, is a two part adventure which started life as a bedtime story for his three children, who nagged him so much that he finally agreed to write a book. Only one book was intended, but Earl came to realise that a second was required. Earl was offered a publishing contract from a small Welsh press, but after much deliberation and discussion with the publisher, decided not to accept the offer. This proved to be a shrewd move, as he later discovered the press was struggling to meet the costs of publishing and have since moved its business solely into the field of printing.